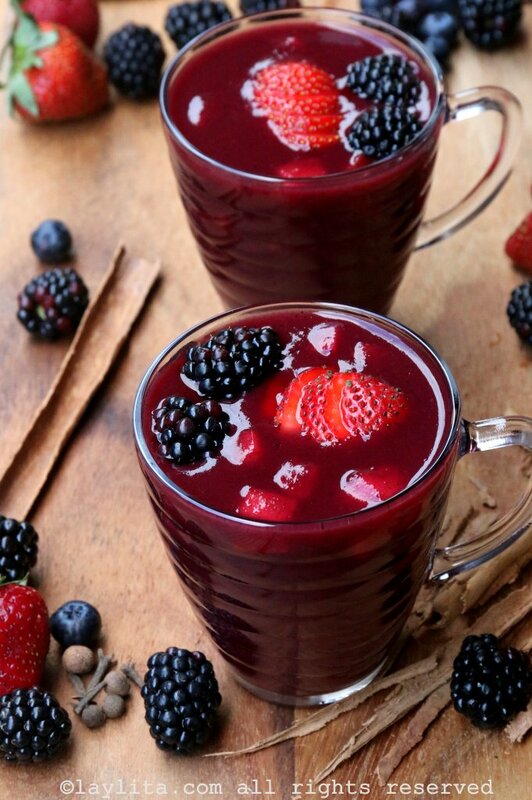 Colada morada or spiced berry and purple corn drink is a traditional Ecuadorian drink made with fruits, spices, and purple corn flour. Colada morada is prepared for the Day of the Deceased celebrations in Ecuador. Ecuadorians celebrate el Dia de los Difuntos or Day of the Deceased on November 2nd, this celebration is both similar and also different than the better known Mexican Day of the Dead (November 1). It’s similar in that it is a day to honor and remember all the loved ones who have passed away. People go to the cemeteries to visit the tombs, they take flowers and clean the gravesites. 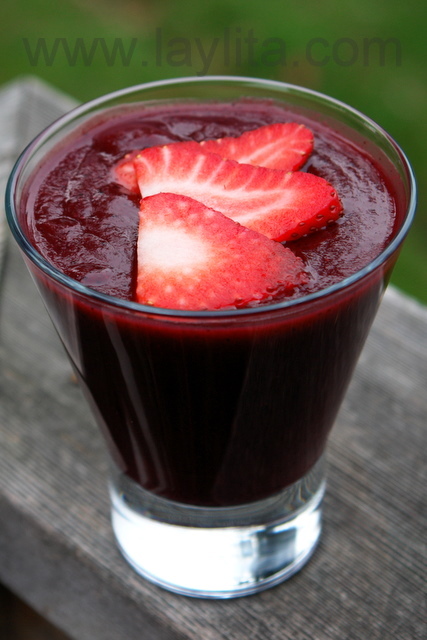 As with most Latin holidays and events, there is always a food aspect to any special day, in this case one of those food components is a thick purple drink called colada morada. 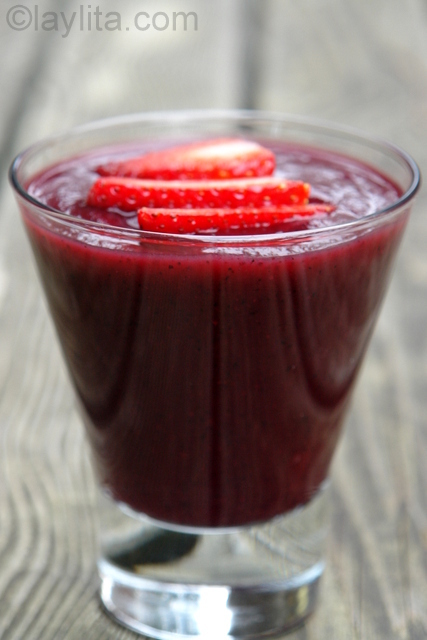 This drink is made with fruits, spices, and purple/black corn flour. 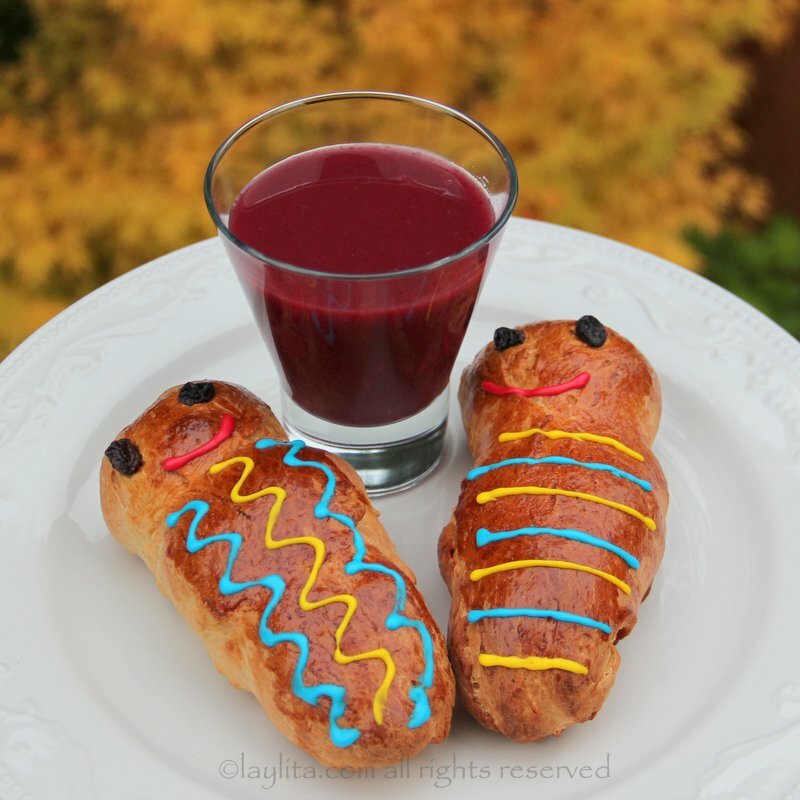 It is typically served with sweet breads shaped in the form of dolls called guaguas de pan – literally bread babies. 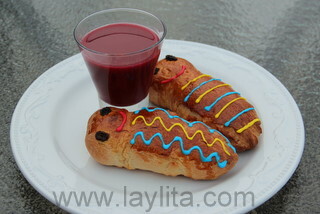 It is very common to see stalls selling these bread figures and purple drinks in the center of cities and towns up to a few weeks before November 2nd. 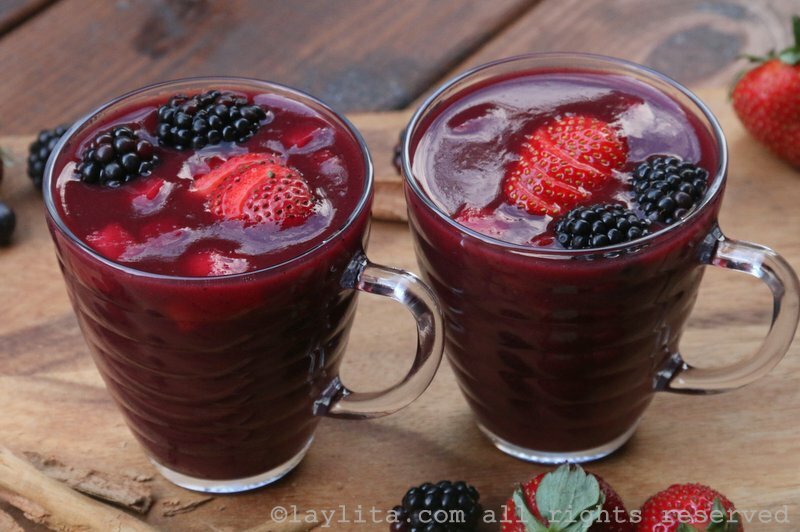 Colada morada or spiced purple corn fruit drink is a traditional Ecuadorian drink made with fruits, spices, and purple corn flour. 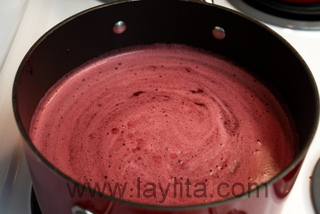 Colada morada is prepared for the Day of the Deceased celebrations in Ecuador. 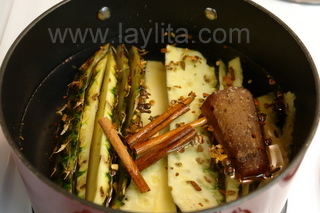 Place the pineapple skins and core, cinnamon, spices and panela or brown sugar in a large pot with 8 cups of water. Boil for about 20-25 minutes. 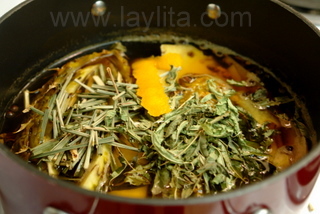 Add the lemon verbena, lemongrass, and orange peel. Reduce heat and simmer for 10 minutes. Remove and strain. 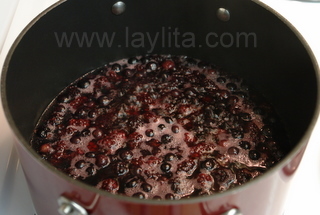 In a separate pot, add 4 cups of water with the blueberries and blackberries, boil for about 20 minutes. Remove from heat, let cool down until safe to handle, blend and strain. 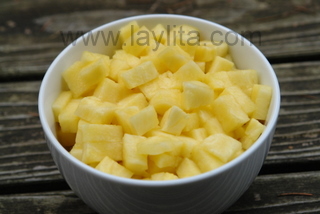 Mix the cup of the purple corn flour with 1 cup of the spice pineapple liquid until well diluted. 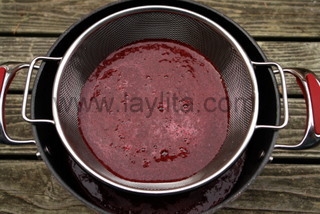 Add the strained berry mix, the naranjilla juice, the spiced pineapple liquid and the diluted purple flour mix to a large pot. Cook over medium heat, stir constantly to keep it from sticking, bring to a boil. 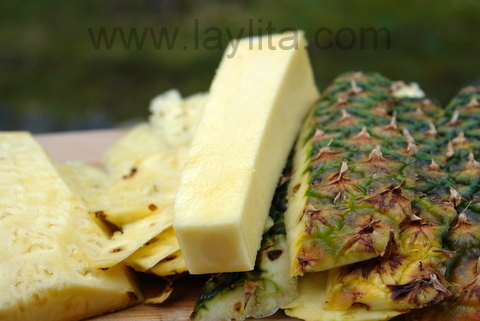 Add the pineapple chunks and reduce to simmer for about 10 minutes. 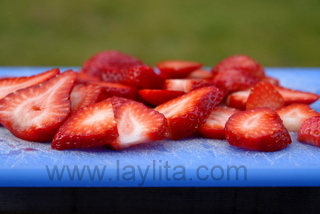 Remove from the heat, add the strawberry slices (and any additional fruits). Serve warm or cold. 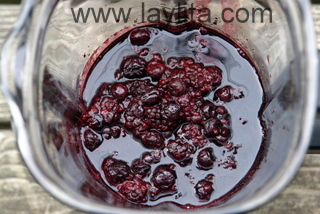 The traditional preparation of colada morada uses local fruits, spices and herbs; some of which are very difficult to find outside of Ecuador. As many of my other recipes, I have adapted this recipe based on the ingredients that can be found in the US (or Europe). 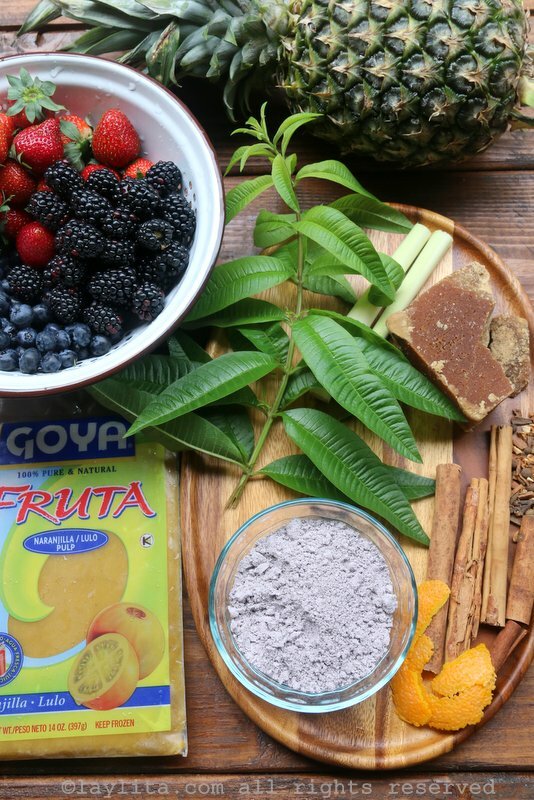 Just in case you are in Ecuador, some of the additional ingredients that have been left out include a delicious fruit called babaco, spices called ishpingo and arrayan. Some variations also add passion fruit and other fruits, just as most other typical Ecuadorian dishes, the recipe will vary from one family to another – with each one claiming that theirs is the best version. Colada morada is usually served warm, though it is also just as a good served cold. Similar to any concoction – be it drink, soup, stew – that is made with a variety of fruits and spices, it tastes better when it’s a day old than when it’s freshly made. 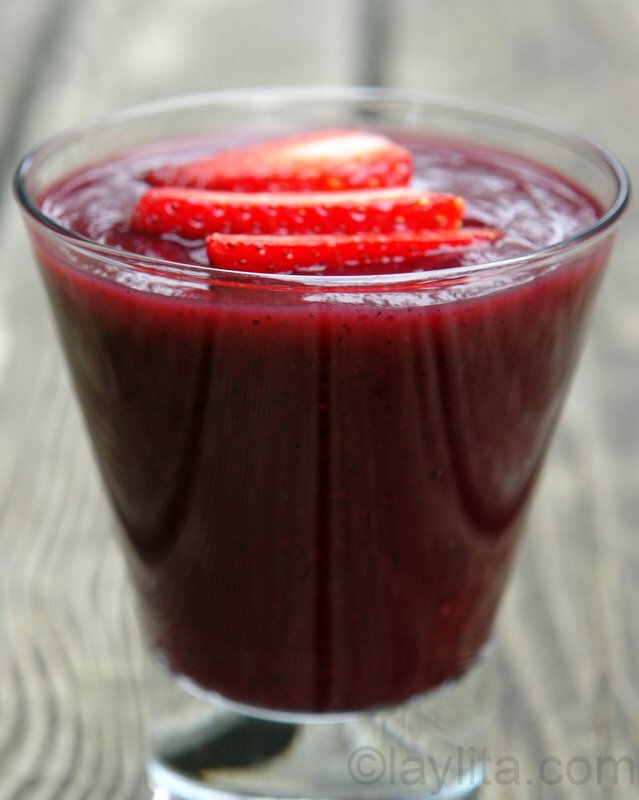 Colada morada always tastes better if made with fresh fruit, however frozen berries work perfectly fine. 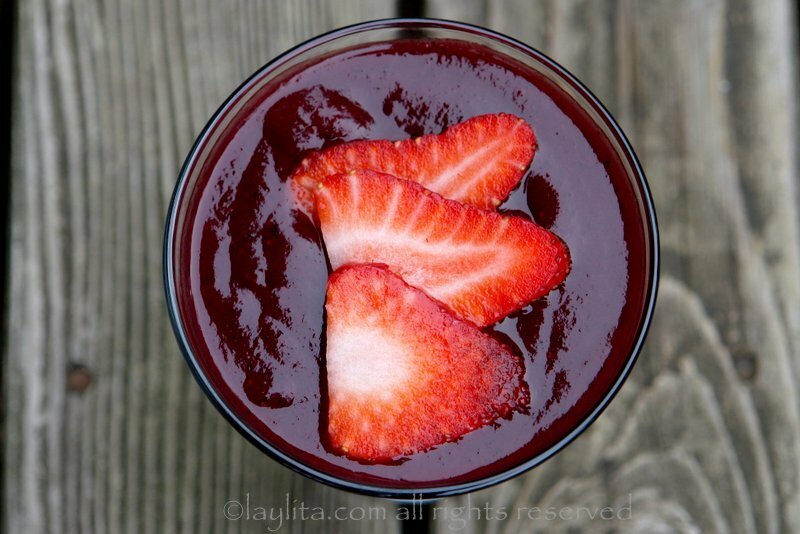 My kids love this drink, and would like to have it more often than a few times during October/November; as a result of this request, I also have an easy version of the colada morada recipe that uses easier to find ingredients and can prepared faster so it that can be made more frequently. I am so glad I found this! I first tasted this drink when I lived in Quito several years ago, and I have always wanted to recreate the recipe. Everyone here Americanizes it so much I never thought it sounded right, until I got to this one! 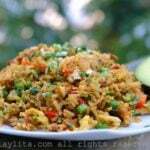 I just made this, along with the guaguas de pan, and it is so good. Thank you so much! This whole website is great – I miss Ecuadorian dishes a lot, and now I have a resource to make them the right way! I love this – my comadre in Ambato makes it during finados every year, but it takes every pan in the house and all 5 stove burners! The recipe is impossible to duplicate in the US. 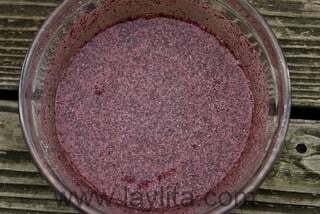 I cannot find purple or black cornmeal and was wondering if traditional blue New Mexican cornmeal could be substituted for the purple or black meal? 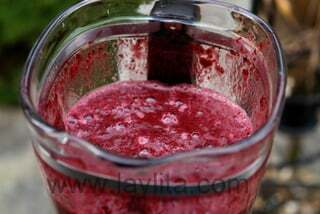 I just made my first colada morada following your recipe. I am from Ecuador and live in Arizona. It was a success! I was not able to find lemon verbena yet it was still great! Thanks for your great recipes!! You keep us connected to home. Hola Laylita! I love your blog (my family is from Ecuador and all the recipes remind me of wonderful times together). 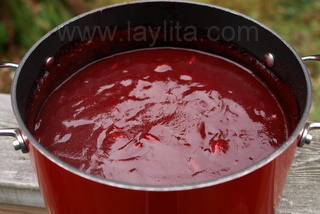 I was wondering for the colada morada- is the ingredient corn flour or would corn meal work?? Gracias! Hi Cristina – Corn meal too coarse and thick, so corn flour or the Mexican masa corn flour would be beter. You could also use corn starch (maicena), but in a smaller quantity than the corn flour amount in the recipe. I had to pin this on Pinterest. 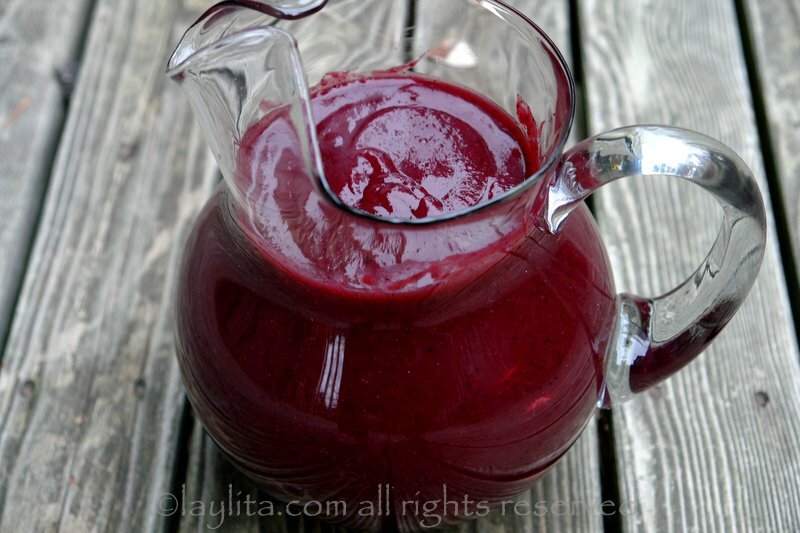 I love Colada Morada and all your recipes! I will have to try this recipe. Thanks! Enjoying hot colada morada! Perfect for fall weather! Thank you Laylita! I found the lemon verbena. Almost ready to start my first colada morada ever! My mom used to make it and how I miss them both! I have a question, I couldn’t find the lemon verbena, but found lemon balm. Any idea if it’s the same? Blessings and Thank u! Hi Carito – The lemon balm is different, but it would still work to infuse the taste into the colada. I really like your recipes and your website. Happy to see new and recent activity! I just returned to the US from Ecuador yesterday. 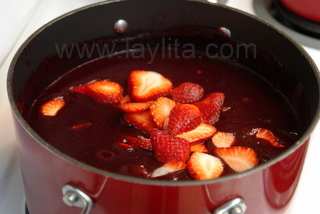 I enjoyed the colada morada while there and now that I have the recipe I will try to make it. I have a beautiful baby daughter there and celebrated her first birthday. I hope to be living in Loja soon. 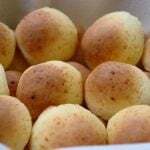 It would be wonderful if you could post a recipe for guaguas de pan. Hi Paula – I will post the recipe for guaguas de pan soon. Thank you for your lovely website. I love it! It has beautiful pictures and it brightens my mind and heart. 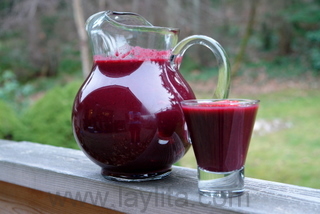 Thank you for the recipe for “Colada Morada”. When I was a child I lived in Ecuador for a few months here and there with my mother and I remember this drink to be very tasty. And what can I say about the bread? Yummy! It brings me back to many good memories that make me want to move back. Maybe someday I will for good. Until then, your website has given me hope to be able to prepare some Ecuadorian foods that my kids have been begging me to cook. I always thought it would be impossible for there are so many ingredients not available here in the US; however, your followers are giving me ideas where to get them. So thank you again for your website. Chao! Soy una Ecuatoriana viviendo en California. Estoy tan contenta que esté de vuelta!!! 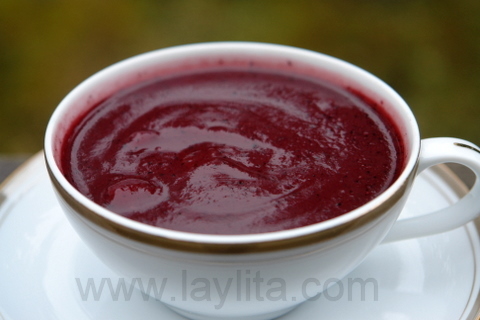 Hace unos días abrí la página buscando la receta de la colada morada y allí estaba la fantástica receta, me encanta esta energía!. Adoro sus recetas y me inspiran, gracias! ; seguiré pendiente de su página Web. OH MY GOSH! YOU ARE BACK!!!!!!!!!!! I am so happy and can’t wait to see your posts coming! Your blog is the best! I am so happy to see your posts again…I just took my 93 y. o. mother in law and my husband to the airport. They are on their way to Ecuador to visit family. When I saw the post on ceviche I nearly ran and bought a ticket to join them. One of my happiest memories was the day my husband and I went on a mission in Quito to eat as many different varieties of ceviche as we could find. We ate from noon to dusk and we still talk about our favorite. Unfortunately we were never able to find it again, but the picture of it and the taste of the ceviche is forever embedded in my mind! My family uses tart apples (like granny smith) in place of naranjillas, since we can’t get them where we live. 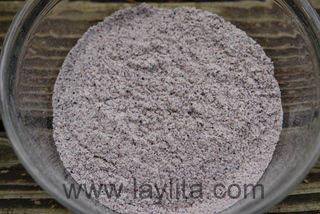 I am excited to try a recipe that uses purple cornflour… my usual recipe uses cornstarch. I am putting this recipe aside for one of my future posts. I will be doing A-Z countries and Ecuador is “E”. Will let you now when I do it and of course if you don’t mind I will mention you and your blog as reference. Soy Ecuatoriana, pero vivo en Texas, recien me movi aca desde California, y la verdad no se si vendan naranjilla, en California la vendia en los markets Mexicanos, congelada, y le llaman Lulo. Si no puedo encontrar naranjilla en los markets de aca en Texas, con que la puedo reemplazar? o solomanente no le pongo? Otra pregunta, allspice berries, lei en wikipedia que es lo mismo que Jamaica allspice?, es facil de encontrar? estaba pensando ordenarlo en Amazon junto con la harina morada. Lo mismo con el lemongrass y lemon verbena, donde lo puede encontrar? Hola Adriana -Puedes encontrar naranjilla/lulo congelado en Fiesta. All spice lo puedes encontrar en la mayoria de supermercados, y las hierbas las puedes encontrar en Whole Foods o Central Market (en la seccion de frutos secos/especies). Love your site…. Thank YOU for the recipe… What to do if I don’t have naranjilla? Hi Alison – You can substitute with passion fruit juice (it seems easier to find these days than naranjilla juice). My grandmother past away last new years day..she used to make me colada morada on sundays when I was a child and got to visit her.. Thank you for posting this recipe…I never got a chance to learn how to make it… It is no wonder food is comforting.. life’s greatest moment usually to happen while sharing foods made with such love!